You’re at that point of your career where you want to up your game by getting a Master’s degree, or you may have just completed your undergraduate studies and want to continue onto postgraduate education. As you do your research, you come across an online course. You may not have considered studying online, but over the past few years, online learning has become increasingly popular due to improvements in internet access and technology. There are many old misconceptions about what online learning was like, but these are no longer true. 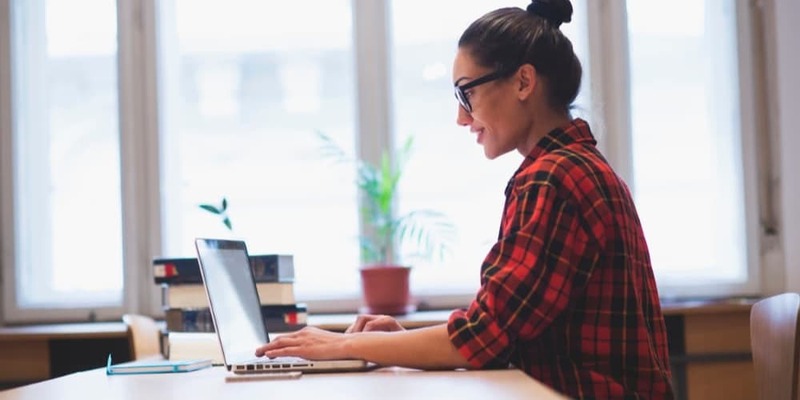 Online learning has come a long way, and online graduates now stand on equal ground with their on-campus peers in the eyes of recruiters and employers. Both courses teach students the same content in different ways and upon completion, provide the same qualification. If anything, online learning has unique strengths that only those who experience it can take advantage. Before we get into all this, it’s imperative that we explore some prevailing online education myths (and of course, debunk them). What’s stopping you from taking an online course? This myth stems from the assumption that studying remotely creates a barrier between the lecturer and students, but often people aren’t sure what to expect from the experience. While there is a physical distance, students are still able to interact with their lecturers and classmates. It’s just that this interaction takes on a different form – through online platforms such as discussion forums, email, Skype or group chat. Most of us already use these communication methods on a daily basis. There’s an expectation that online learning is delivered differently to on-campus courses. However, even in a traditional classroom environment, online tools are used to enhance the learning experience. If you aren't familiar with online tools, there is a high level of student support available to assist you. As an online student at RMIT, you get assigned to a Student Success Advisor who guides you throughout your degree. This support includes developing a study plan, providing access to study tips and tricks, reminding you of important dates and ultimately, helping you meet your study goals and objectives. For those looking for an ‘easy degree’, you're looking in the wrong place. Online programs from reputable universities such as RMIT have the same learning outcomes and requirements as on-campus programs. Each program across either mode includes core and elective courses as well as tasks and assignments assessed by the same renowned academic staff using assessment rubrics. The environment in which you study may be different, but the expectations remain the same. Depending on the individual, online degrees can often be more challenging as they require increased discipline and self-direction when you're not physically going to a lecture or tutorial. That said, there are many strategies you can adopt to avoid this from affecting your study. The real consideration when judging the merit of an online course is whether the institution offering the course is highly recognised and reputable. Are their degrees renowned globally? Who are the academics behind the program? What does the course content provide? What have the alumni achieved? It’s important to look into the education provider and program of interest before you sign on. When you study an RMIT online course, you earn the same qualification as you would on-campus. In other words, our online degrees hold the same academic rigour and reputation as our on-campus degrees, because the same well-respected academics develop them. Furthermore, RMIT is one of the top universities in the world according to QS World University Rankings, so our degrees are recognised globally. This reputation means better opportunities for developing your career in Australia and abroad. It’s hard to fathom that online study is inferior to on-campus education based on these misconceptions alone. Many students know what it's like to study on-campus study, but don't know what to expect when it comes to online study. There is a fear of the unknown, and a natural tendency to be cautious of new ways of learning. What's clear is that education has changed tremendously over the past decade, thanks to advances in technology - some methods that were once considered groundbreaking are now standard. The benefits of online study are abundant: aside from the fact that you receive the same world-class education, you don’t have to move to a different city, state or country to study your degree of choice. Studying online is also an excellent option for those who are working – you can continue to work full-time while you complete your degree. What does online study prove to your present and future employers? If you’re already working, your decision to pursue a Master’s degree shows to your employers how determined and adaptable you are, as you juggle work and study. Doing so not only indicates excellent time management skills on your part, but also your commitment to improving yourself and your performance at work. Your study will cover content that is relevant, up-to-date and applicable immediately in the workplace, something that is highly regarded by employers. Not to mention, getting an extra qualification boosts your chances of getting promoted in your current workplace or makes you more attractive to potential employers. Pursuing an online education takes a lot of commitment and dedication. Online learning implies to recruiters that you have a strong, personal drive. In other words, your online degree says something about your attitude – that you can remain positive and see through a challenge. This one of the top skills that you gain throughout your studies. Although you interact with lecturers, other students and get assistance from your Student Sucess Advisor, online learning is largely a self-directed experience. You are in control of managing your own time, and you may sometimes have to troubleshoot problems on your own. Being placed in these situations naturally improves your critical thinking and decision-making capabilities. Teamwork is important everywhere, but in the case of online learning environments, this is much more so. When studying an online program, you collaborate with people from different states and countries, and there’s the added challenge of different time zones as well. So, strong communication becomes critical to complete tasks and assignments. There’s also the ability to navigate and negotiate through often varied cultural perspectives. Other skills that naturally develop from this are leadership and strategic planning. Technology isn’t only transforming the way we learn, it is also changing the workplace. New technological tools mean new practices and methods of working, so companies need creative and agile people who can effectively apply such technology to products and services. Online students not only use technology, but maximise it for their learning experience, giving them top-notch tech-savviness. What do companies think about online degrees? As more reputable universities begin to offer online courses, there is growing confidence in the quality of online degrees among employers. To make the most out of your online degree, make sure that the program or university you choose is accredited or recognised by higher education ranking systems, such as QS or Times Higher Education (THE). This shows employers that you have undertaken a program that meets certain academic standards. This applies to any mode of study, whether it’s online or on-campus. Although important, an online degree – let alone a degree – is not the deciding factor for recruiters. The process for recruiters and hiring managers is a lot more holistic, with other factors such as talents, skills, intellect and work experience, playing an important role. What about those who are already part of the workforce – how do companies view employees who study online while working? Most employers encourage their employees to undertake further learning and development, particularly when the study relates directly to their role. But, why the investment? Simply put, the online degree not only benefits you but your organisation as well. Employees who are more skilled, knowledgeable and updated with the latest developments in the industry are likely to contribute greatly to an organisation's success. This also means that there is a greater pool of potential employees for managerial positions, so companies don’t have to hire externally. It’s also safe to say that as someone who has completed further study will feel mentally stimulated and fulfilled, leading to increased productivity and work performance. So, it’s pretty much a win-win situation for both employee and employer. With the business world now constantly evolving and changing due to things such as technology, positive attitudes towards flexible online degrees are on the rise. Follow the signs and invest in your career by pursuing one of RMIT’s online postgraduate programs. RMIT offers Graduate Certificates, Graduate Diplomas and Master degrees in various areas, such as business, marketing, HR, project management, engineering, and supply chain and logistics management. Our programs are designed by world-class academics and online learning designers to ensure that the learning process is engaging and manageable. They are also intensive, so you can earn a Graduate Certificate in just eight months, a Graduate Diploma in 16 months or a Master’s Degree in only two years. Additionally, RMIT has six intakes throughout the year, so you don’t have put your dreams on hold for too long and can hit that fast-forward button on your career now.